Web Pop-Ups/ Forms are a great way to increase followers, get more opt-ins or market a product or service. 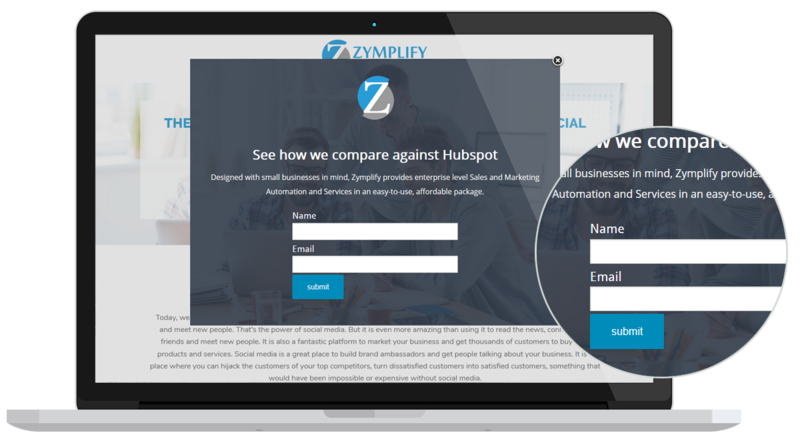 Zymplify allows you to design customised web forms and pop-ups with our easy to use builder, giving you the opportunity to drive leads and engagement on your website, and integrate it into one central dashboard. 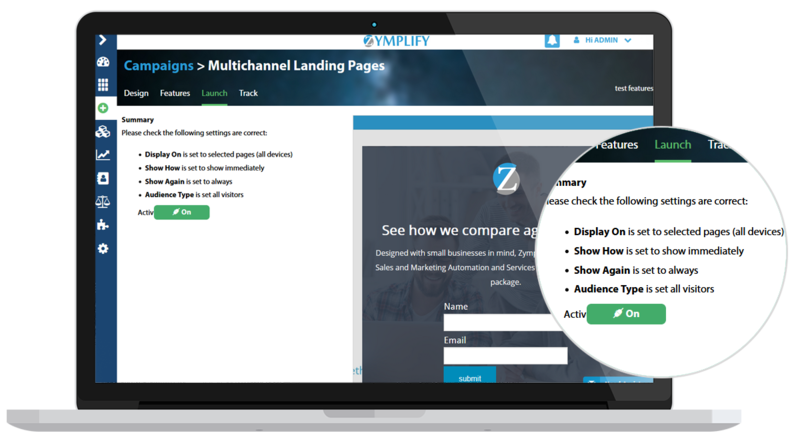 With our website tracking code installed on your website, you have the ability to target and display your Pop Ups only to those in your defined audience. Filter your display options based on new and returning visitors, device they are using, which pages they are visiting, "display only once per visit" options, so the user doesn't feel they are being spammed. 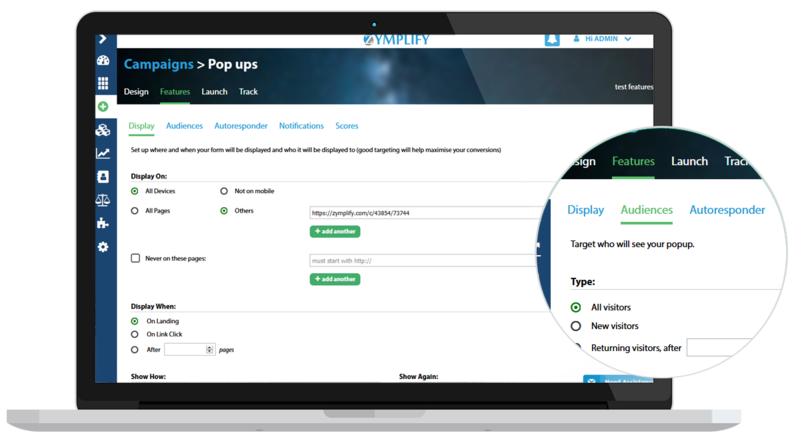 Remove the hassle of needing your IT department to develop and customise your pop ups - simply insert our tracking pixel once, and the pop-ups can be generated on your site based on the already installed tracking pixel. Ease to activate and de-activate pop-ups with a simple button, no more worries of out of date pop ups that are no longer relevant.